This is a re-post from a response to an “Addicting Info” article. Read the article and Facebook responses here. A huge shout out to William.H.Lanteigne for his amazing post! As a public service, I’ve come up with this little quiz. I call it “How to Determine if Your Religious Liberty Is Being Threatened in Just 10 Quick Questions.” Just pick “A” or “B” for each question. B) Others are allowed to have access to books, movies and websites that I do not like. Religious liberty is never secured by a campaign of religious superiority. The only way to ensure your own religious liberty remains strong is by advocating for the religious liberty of all, including those with whom you may passionately disagree. Because they deserve the same rights as you. Nothing more. Nothing less. Thank you, Boone County Fiscal Court, who purports to be all about “fiscal responsibility.” You have now effectively set up my neighbors and me to foot the bill for inevitable litigation to repeal this misrepresented, dishonest and illegal ordinance. I shouldn’t have to voice my disgust over the fact that RTW states yield a significantly lower income middle class, thereby reducing our county’s tax base and the services provided by the county that WE PAY FOR. I also shouldn’t need to tell you that a court case is pending in Hardin County that will tell you if this ordinance is a waste of time and taxpayer dollars. There are three US territories: Guam, the US Virgin Islands and American Samoa. Unless you are legislating in a county located on GUAM, AMERICAN SAMOA, or THE US VIRGIN ISLANDS, YOU DO NOT HAVE THE AUTHORITY TO IMPLEMENT LABOR LEGISLATION AT THE COUNTY LEVEL. Sometimes I feel as if Kentucky is in a different century (like the 1800’s) but I have always been confident that we are still in the continental United States. Therefore, Judge Moore and members of the Boone County Fiscal Court, you have knowingly and negligently (negligence at the VERY least) wasted taxpayer dollars by setting us up to pay the legal bills for an ordinance you knew was illegal. Good job on that whole fiscal responsibility thing. OK, I will conceded that it is a neighborhood page that was established for the primary purpose of sharing information about plumbers, electricians, hairdressers, pets and deck builders. And the handful of posts from local candidates asking for votes certainly stuck out among the listings of lost/found dog pictures. However, elections come around only once every two years and the responsibility of voting is, in my opinion, a close third in importance to Love God and Love Each Other. I am fairly certain that if asked, Jesus would support “GOTV” efforts. Voting is the single most important thing that we, as Americans, can do. Our votes are our voice, unless you are one of those admirable few who write to their legislators or call them on a regular basis. And how in the world can we give responsible voice to our concerns as citizens if we don’t take the time to educate ourselves on the “political stuff”? Two friends of mine worked the polls on Tuesday and were amazed at the number of people who came in to vote and had no idea what party to which they belonged. How exactly are they able to make an informed vote if they don’t even know their own party? It’s not like it’s difficult to find out your registration status, unless of course you live where there is no internet access – which I know DOES exist – even in Boone County. However I’d bet money that all or most of those people DID have internet access, given the precinct locations at which my friends served (hint: NOT rural areas, NOT without electricity). That “political stuff” is necessary. Particularly because MOST (not all) people barely make an effort to be informed. And by the way, watching the CNN or Fox News world-in-80-seconds evening report does not count as being informed. I will be the first to admit that by the middle of September, sometimes sooner, I am mentally tuning out all the political ads – I do the same thing with Christmas shopping commercials the last week before Christmas. BUT until voters become self motivated to seek out information from independent, varied sources; and until those same people become active participants in our political process at the local, state and national level, that “political stuff” is the best window we have to what our elected officials are doing (or not doing) on our behalf. So bring on the political stuff: the good, the bad and the ugly. Because it’s my job as a voter to dissect it and figure out what it means for me, my family and my community. This is my year to be FEARLESS. By fearless I don’t mean throwing caution to the wind, but instead overcoming reticence to voice what is right in the face of what is wrong and unjust. For women, and arguably those who have been raised with at least a hint of Southern influence, it is a conscious decision to not be silent and to roar, Katy Perry style (http://www.youtube.com/watch?v=CevxZvSJLk8), so that the vulnerable and less influential members of our community can be heard. Passionate advocates for positive community outcomes must be fearless, as change invariably brings hostility from those who wish to conserve the status quo. In the last year I’ve been encouraged, influenced and have come to intensely admire the following women who I believe exemplify fearlessness in the world of Kentucky politics. These are Fearless Kentucky Women to Watch in 2014. Number one on everyone’s list is Alison Lundergan Grimes. Did you know that Kentucky has NEVER been represented by a woman in the US Senate? Sadly unsurprising, this is a streak that a fearless Kentucky woman like Ms. Grimes can and will break. Currently Kentucky’s Secretary of State, Grimes has taken on Senate Minority Leader Mitch McConnell for US Senator. With 30+ years as a Hill insider and wielder of unconscionable levels of influence in the US Senate, Mitch McConnell had better get ready because it’s clear that a younger, more nimble candidate is going to give him a hard run for his money. Grimes is also projected to ultimately unseat him in the November 2014 Kentucky general election (http://www.thedailybeast.com/articles/2013/12/30/obamacare-impeachment-iran-and-more-political-predictions-for-2014.html). Anyone who has met Ms. Grimes and heard her speak recognizes that she has the intellectual capacity, the passion and the fearlessness to go head-to-head with an entrenched member of the Dark Side and the Conservative Old Boy Washington DC club. By the way, she has the enthusiastic backing of the Clintons (http://www.youtube.com/watch?v=Mwy5wGl9RGY) – and the Clintons are ALL ABOUT FEARLESS. Elizabeth Jensen is another fearless Kentucky woman that I love – not only because she is an Emerge Kentucky grad, and I am a member of the 2014 Emerge class, but also because she is a tireless promoter of education in a state that struggles to adequately fund public education. Ms. Jensen is the Democratic candidate for Kentucky’s 6th district and is running against Republican incumbent Andy Barr. Besides being a successful business owner, she is also head of The Race for Education, a non-profit to promote academic development and financial literacy. It will take a fearless opponent to take on Mr. Barr, who despite only having been in office a short time, has deep ties to the “Party of No”. As an “educational entrepreneur” and advocate for special needs children, Ms. Jensen has already demonstrated her fearless agility (http://emilyslist.org/what/candidates/elisabeth-jensen) by delivering over $5 million in scholarships and educational programs to young Kentuckians. As the complete antithesis to Mr. Barr’s Tea Party obstructionism, anti-woman positions and general nuttery, Ms. Jensen is the fearless candidate to win Kentucky’s 6th district for US Representative. She will bring common sense and cooperative action to our helplessly paralyzed US Congress. Elected to chair the Boone County Democratic Party in July 2013, Carole Register fearlessly took over the reins of a party who has been in the shadows for the last 20 years. Mrs. Register is a retired healthcare executive and passionate community development volunteer. She is a rock-solid strategist who is committed to re-energizing the almost 30,000 registered democrats, and 11,000 independents in Boone County – 55% of whom are women. Register is spearheading several events and projects with the county party to emphasize the importance and interconnectedness of business, education and healthcare in Northern Kentucky. Stay tuned for more details on the first annual Dialogue for Democracy, scheduled for April 3, 2014. 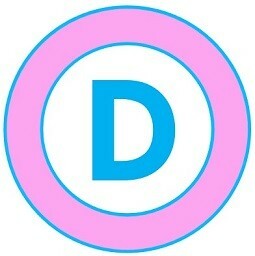 Event information will be posted on the Boone County Democratic party website: http://boonecountydemocrats.org/. These are just three fearless Kentucky women whom I believe will change the course of Kentucky and our nation in 2014. I truly believe that all women in Kentucky have a fearless streak and want to roar in their own way. As fearless Kentucky women, let us all raise our voices and not be silent on education, reproductive health, and income equality. These are just a few of the issues that affect us, our children, our seniors, our veterans and the future of Kentucky.